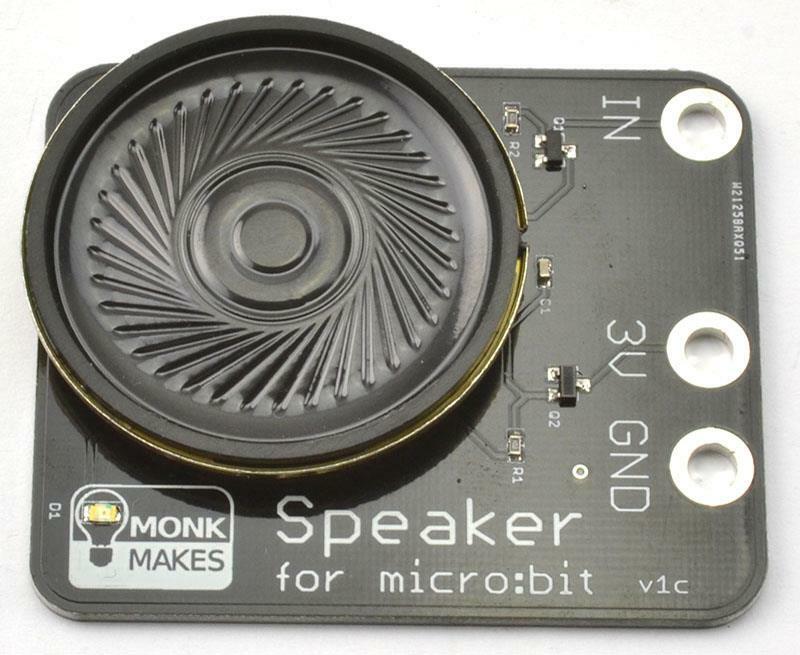 The Monk Makes Speaker for micro:bit is a neat little amplified speaker that connects to your micro:bit using alligator clips. 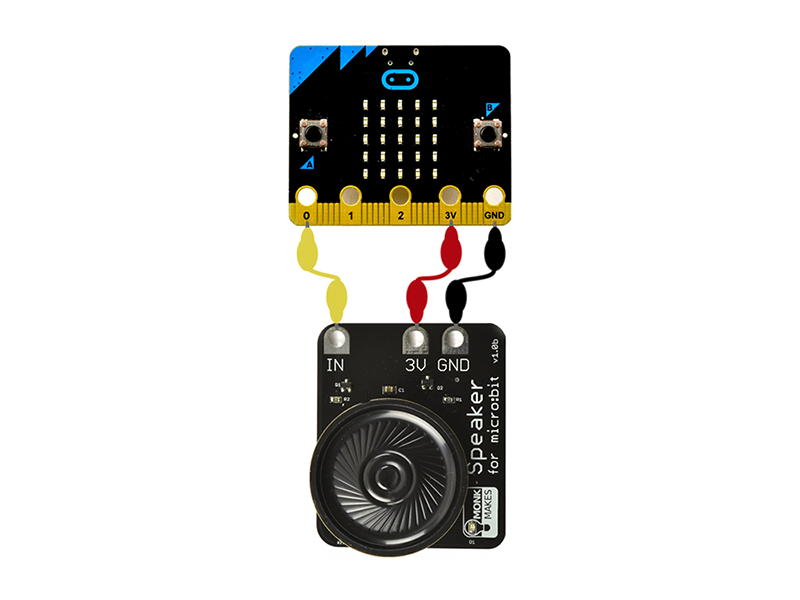 The Monk Makes Speaker for micro:bit is a neat little amplified speaker that connects to your micro:bit using alligator clips. Despite its small size, this speaker is pretty loud. Note: The Monk Makes Speaker for the BBC micro:bit does NOT include a BBC micro:bit. The BBC micro:bit board will need to be purchased separately.